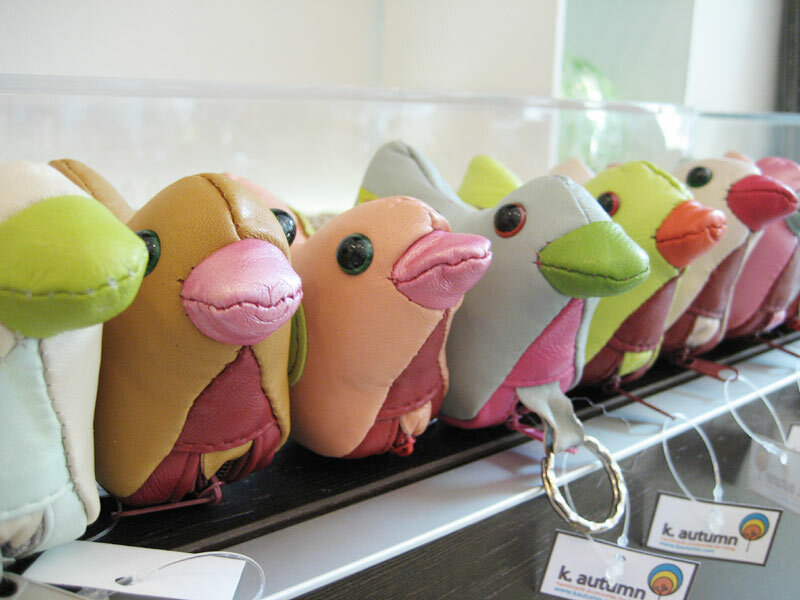 It's a bird, it's a keychain, it's...a ridiculously cute coin pouch with keyring, constructed from bright scraps of soft lambskin leather. Brought to you by k.autumn, the newest business venture by Kelly (Relish at Home) of Berkeley, CA. The colors are all different, some are metallic, there are 4 eyecolors also, so every birdie is unique. They are just too much all lined up, staring at you. And - new jewelry from Windsor Terrace designer Devon Driscoll. Devon uses wax (building it up and carving it down) to create her unique pieces, reminiscent of bones, and found objects that seem familiar but a little strange. I will take some pictures soon, we have necklaces, earrings, great rings with spinning components, and some wicked cool cufflinks.